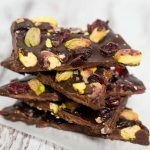 This cranberry pistachio chocolate bark is my kind of dessert because it’s made with healthy ingredients and it’s easy to throw together. You might even have those ingredients (or similar ones) in your pantry. If you don’t – feel free to add any nuts, dried fruits or even coconut flakes if that’s your thing. 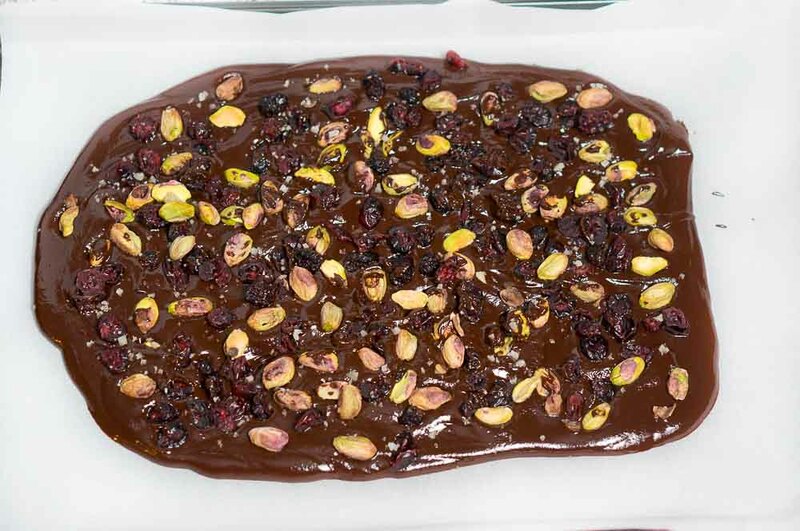 You can customize the toppings to your liking and I’ m sure this chocolate bark will turn out fantastic! In a bowl combine together the melted coconut oil, cacao powder and honey (or maple syrup). Stir well until smooth. With a spatula, spoon the chocolate mixture onto a prepared parchment-lined baking sheet and smooth out until it’s about 1/4-1/2 inch thick. Sprinkle pistachios and cranberries on top, and add a pinch of sea salt. Place in the freezer on a flat surface for about 15-30 minutes, until frozen solid. Once frozen, break apart into a bark. Store in the freezer until ready to eat. 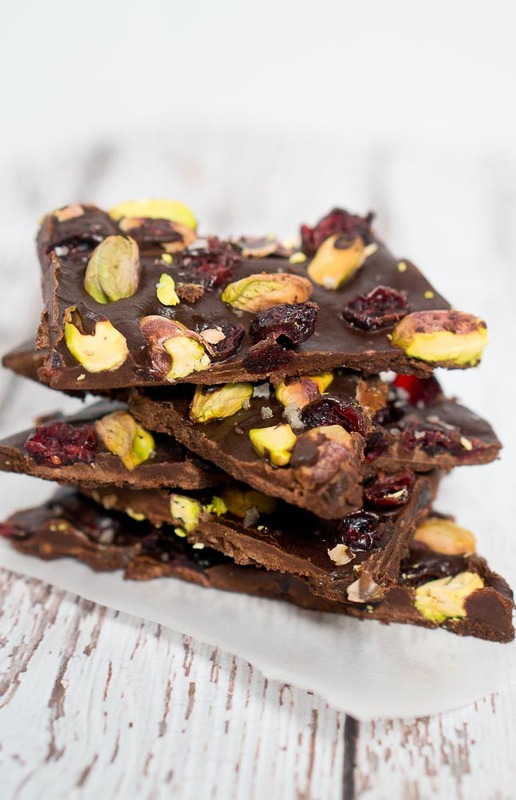 This cranberry pistachio chocolate bark is my kind of dessert because it's made with healthy ingredients and it's easy to throw together. With a spatula, spoon the chocolate mixture onto a prepared parchment-lined baking sheet and smooth out until it's about 1/4-1/2 inch thick. Sprinkle pistachios and cranberries on top, and add a pinch of sea salt. This looks so pretty and delicious! I love all the healthier ingredients and how quick it is to make! 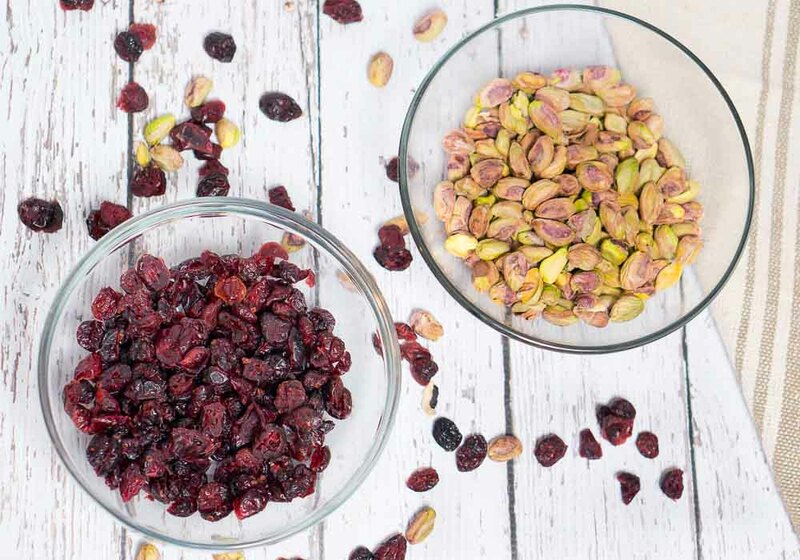 The cranberry and pistachio combo sound perfect! Thanks for stopping by, Kelly!! 🙂 Very sweet of you! 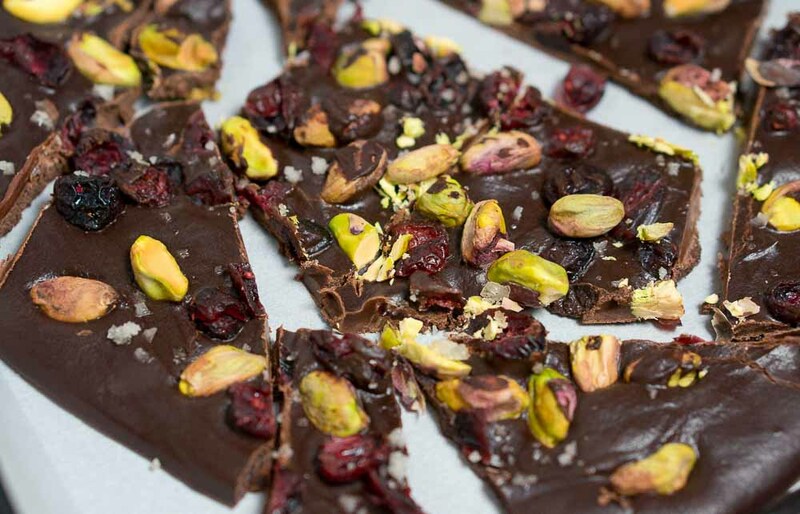 Chocolate bark is the beeeest! 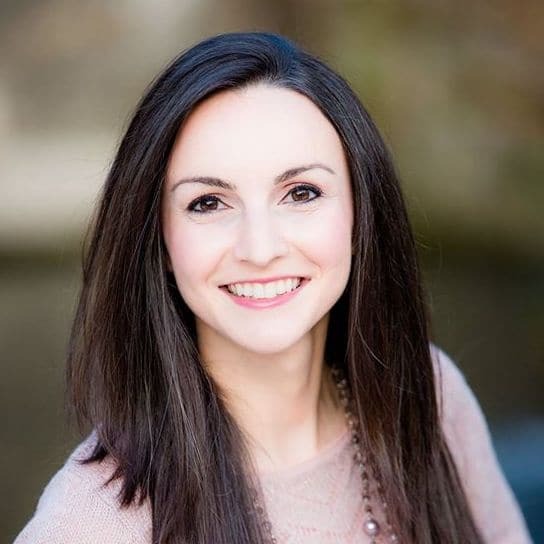 You’re so right…it’s super easy to throw together, and extremely versatile. 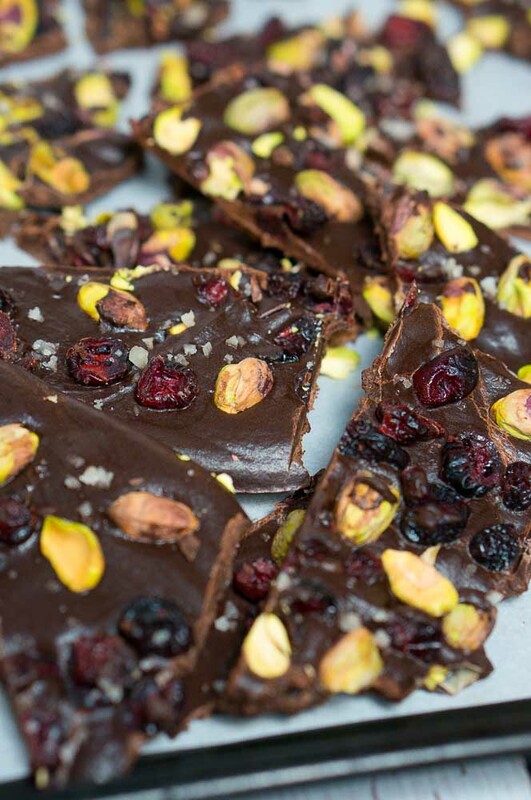 Pistachios are a must for me, but I also love to add goji berries…yuuumy. Should the coconut oil still be warm once you everything else to it? No, the coconut oil doesn’t have to be warm when you mix it with the rest of the ingredients.